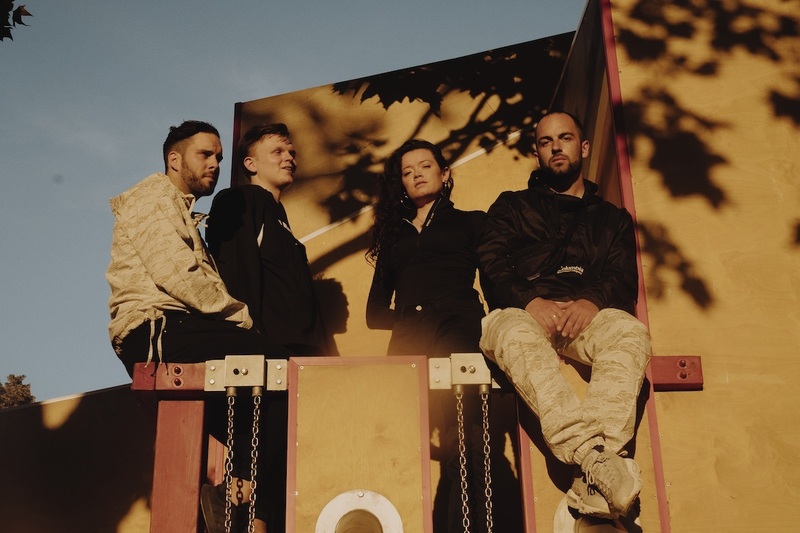 Taken from their upcoming Auras EP—which is set to be released on May 24—is the new single from Kudu Blue entitled “Ice Tea” which sees the Brighton-based electronic-dance quartet continue where they left off on previous singles “Auras” and “Mountain Song”. With world-building production and warm vocals all self-produced and recorded at home studios between the group, this is just a slice of a wider pie curated directly by them for you. Speaking about the track, vocalist Clem told TRENCH via email: “‘Ice Tea’ is a party tune. We were influenced by a bit of ‘90s trance and euphoria music; think Chicane meets Faithless, but with a pop twist. We wanted it to be a song that would get people on the dancefloor. The initial idea came around real quick while the others went out to get some drinks. I’d come up with the chords and the lyrics idea by the time they’d got back and the rest of the song came together shortly afterwards.